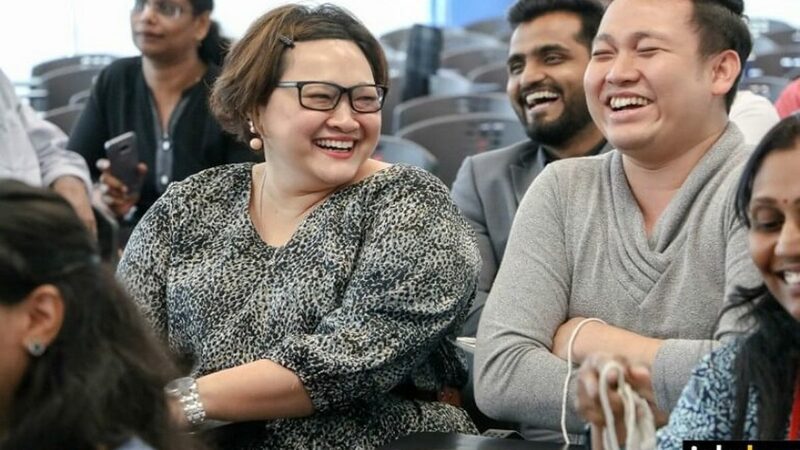 Jobsbac kicked off the first session of its networking series on January 24, 2018 by bringing together C-suite professionals from various industries for an insightful and engaging networking session at Brickfields Asia College’s Petaling Jaya Campus. In addition to being a networking platform, the networking session also provides an avenue for industry leaders to share pertinent information on their industry and organisations, specialisations, and insight on nurturing future leaders and building mutually beneficial relationships at the workplace. Themed “Own Your Future”, the networking session sought to help professionals tackle current and future industry issues. Among the topics covered at the event include staying relevant over the course of one’s career, how the future workplace will affect productivity, and leadership as the 5th discipline. Participants were entertained with a music performance by the Rock Academy and a morning stretch session by MonsterFit Gym. BAC Managing Director Raja Singham also delivered an inspiring speech, where he highlighted Jobsbac’s goals and initiatives, as well as its many offerings that meet today’s hiring needs and challenges. Participants forged new relationships and built new contacts among their peers. They were pleased with the outcome and grateful to hear from experts and discover real solutions for future challenges, all in a fun and engaging environment.